Home Revolution brand produces high quality replacement filters. Home Revolution carefully designs, crafts and manufactures these filters to easily fit the intended machine and provide high efficiency and superior performance. 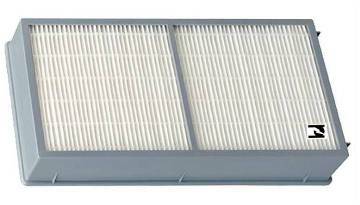 The Home Revolution filter designed specifically for the Hunter 30962 helps remove airborne allergens such as dust, pet dander, pollen, tobacco smoke, fabric fibers and mold spores. These High Quality replacement filters are made Home Revolution. These are not an Original Equipment Manufacturer (OEM) product and are not covered under any OEM warranty. The brand names and logos referenced here are the registered trademarks of their respective owners. Any use of these brand names, models or part number designations for this product is made solely for purposes of demonstrating compatibility.